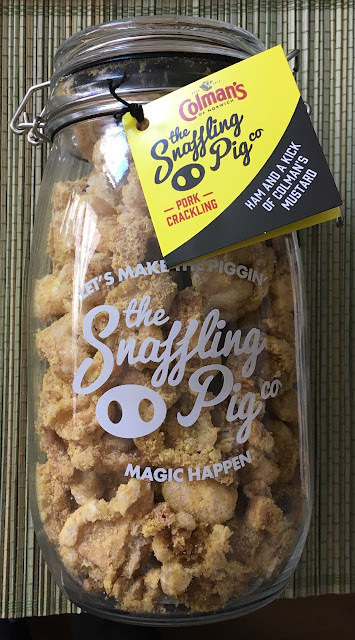 Previously I have tried Snaffling Pig Salt and Vinegar Pork Crackling, and also tasted their super hot Pig of Doom chilli pork crackling. I must say I could happily eat the Salt and Vinegar flavour every day. The Pig of Doom were so hot I almost blew a gasket biting into them! These new Snaffling Pig Colman’s Pork Crackling seemed like a decent compromise. 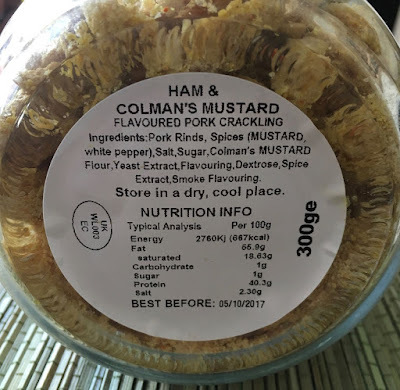 I have Colman’s English Mustard on my sandwiches almost everyday. I’ve never found a mustard I like more. 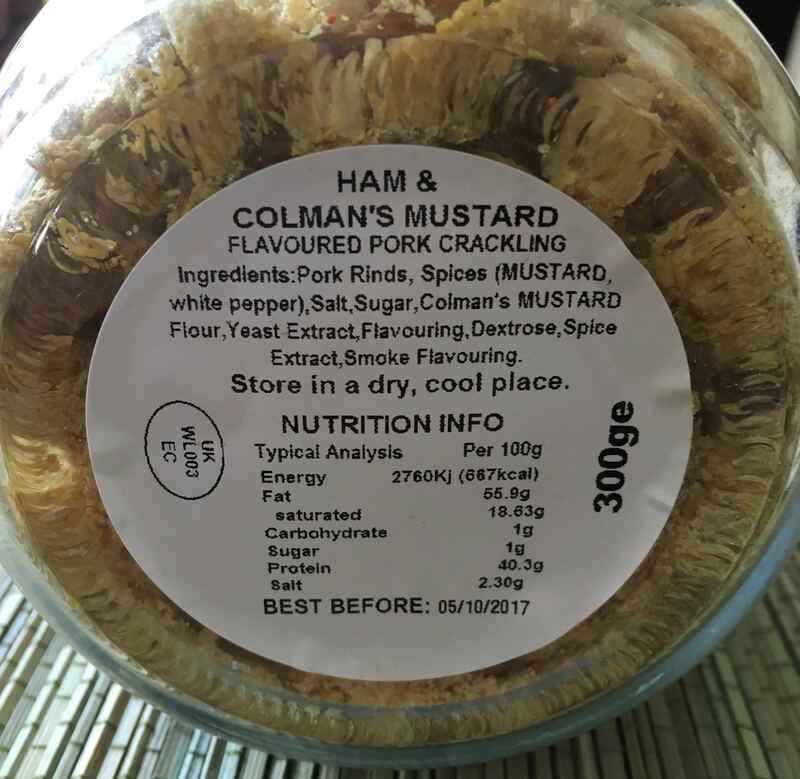 So my favourite pork crackling laced with Colman’s English Mustard sounded like a gift from heaven - literally a gift as Snaffling Pig very kindly sent me these to try. After a lengthy session at the gym I popped open a bottle of lager and then popped open the huge 300g jar. There was a decent porkish smell form the yellowish pork crackling jammed into the huge jar. On first taste these double cooked pork crackling melted in my mouth after a little encouragement from my old gnashers. Biting into the salted pork crackling there is an unmistakable mustard burn from the Colman’s, which is light and not overpowering, but definitely there. As I ate more and more the mustard burn built tickling my nose hairs. Yet don’t be put off if you don’t normally like mustard, as the flavour never distracts from the salty pork crackling. Only enhancing it, nibbling and tickling the senses as I munched more and more. Mmmm… Yum! The 300g jar has 667 calories per 100g, having 55.9g of fat, 1g of sugar and 2.3g of salt. Please see photograph for ingredients.